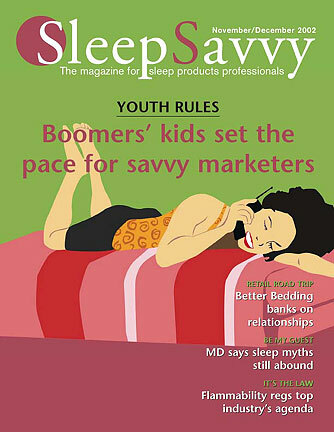 Sleep Savvy is a news magazine for sleep products professionals. It is printed eight times a year and distributed to mattress and furniture retailers. Sleep Savvy’s mission is to help retailers understand consumer attitudes, needs and buying behaviors; make the connection between quality sleep and healthy living; maximize profitability in the mattress and related categories. Sleep Savvy is published by the International Sleep Products Association, an industry group dedicated to protecting and enhancing the growth, profitability and stature of the mattress manufacturing industry.